The news media has focused on Russia increasing its military power in Syria. Iran, however, has been doing the same in recent months, albeit with more subtlety. During the past year, officers and soldiers from the Iranian Revolutionary Guard Corps reinforced territory valuable to the Syrian government — in particular Hama Governorate. The countryside surrounding Hama contains supply chains that connect Aleppo, the country’s largest city; Homs, a former rebel stronghold and current government one; and Latakia, the heartland of the Syrian’s government’s base of support. The Syrian opposition has ousted Syrian troops from Idlib Governorate, just north of Hama, and hopes to advance on these supply chains. Tehran knows very well that to keep its Syrian Pres. 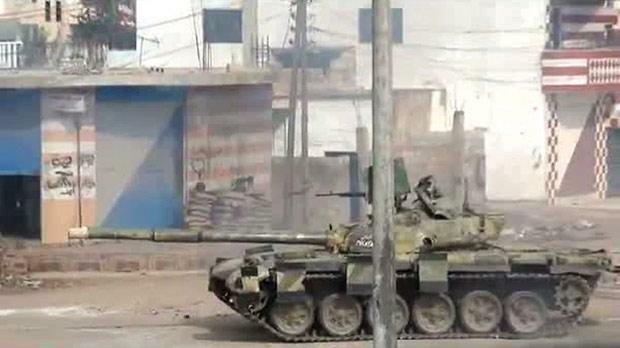 Bashar Al Assad in power, it must keep his army fighting in Hama. The depth and breadth of Iranian involvement in Syria grew significantly through 2014 and into 2015. Opposition sources consistently reported throughout the summer of 2014 the presence of unspecified Iranian officers and fighters on the frontlines in northern Hama Province amidst rebel offensives which directly threatened the Hama Military Airport. Activists claimed in September 2014 that regime offensives in the area were jointly commanded by SAA Special Forces commander Col. Suhail al-Hassan and a “young IRGC officer.” Rebel sources also stated in late November 2014 that IRGC advisers participated alongside Lebanese Hezbollah in an offensive on the town of Sheikh Miskin in Dera’a Province. These reports raise key questions about the extent to which Assad and senior regime officials have subordinated the Syrian military campaign to Iranian interests. However, the presence of Iranian troops in leadership positions has frustrated the Syrian military, causing tension between the two. “After Jabhat Al Nusra carried out an operation in the Hama countryside, the Iranian presence increased noticeably: the regime’s forces at Brigade 47 were replaced by Iranian brigades after Nusra attacked the base roughly a month ago,” citizen journalist Ibrahim A Shamali recently told Syria Direct. According to Shamali, Iranian officers executed Syrian soldiers who disobeyed them. “Some of the regime soldiers who defected during the battles against the Victory Army [in Idlib Governorate] talked about these executions,” he said. If so, as Iran tries to further influence the battleground in northwest Syria, these tensions may weaken the Syrian military rather than strengthen it. Either way, underreported Iranian influence could have greater consequences than Russia’s relatively meager troop presence in Latakia.